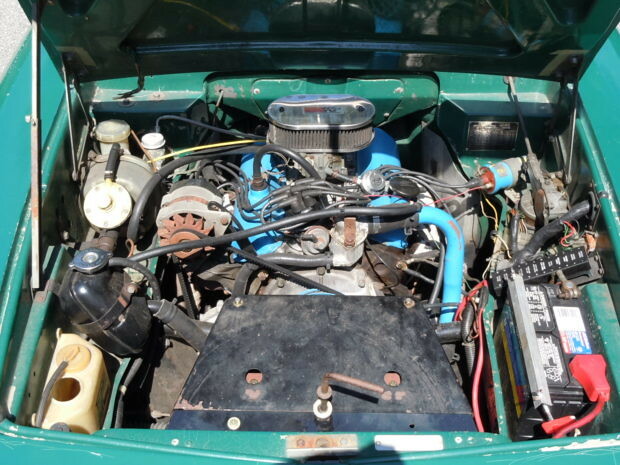 This 1973 Reliant Scimitar GTE is powered by a 3.0-liter Essex V6 mated to a 4-speed manual transmission with overdrive. The car was imported to the US in the early 1980s by a prior owner, with whom it remained until acquired by the seller in 2012. It was subsequently stored for four years prior to refreshment of the engine, transmission, suspension and brakes in 2016. 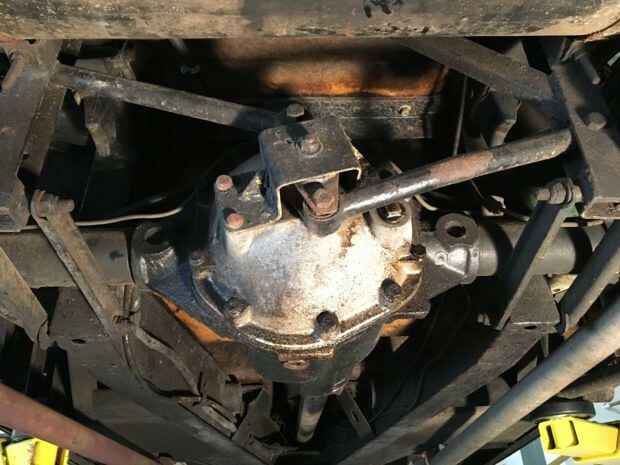 A partial transmission rebuild was performed along with fitment of a new clutch, clutch slave cylinder, engine mounts, water pump, silicone coolant hoses, and more. 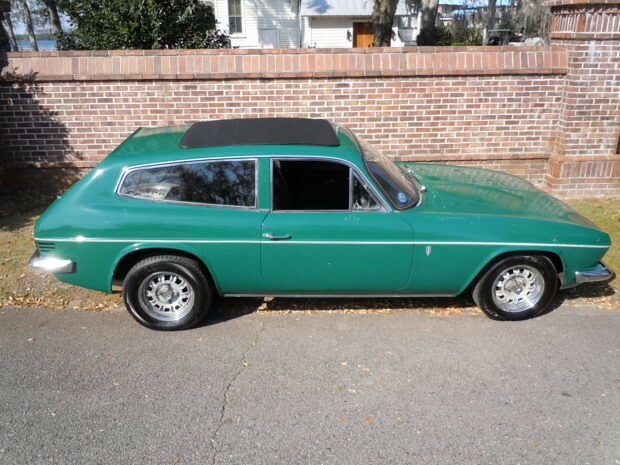 This Scimitar is offered with partial records from the previous owner, invoices for work performed by the seller, manuals, and a clean South Carolina title. The GTE featured fiberglass shooting brake bodywork penned by Tom Karen for Ogle Design. 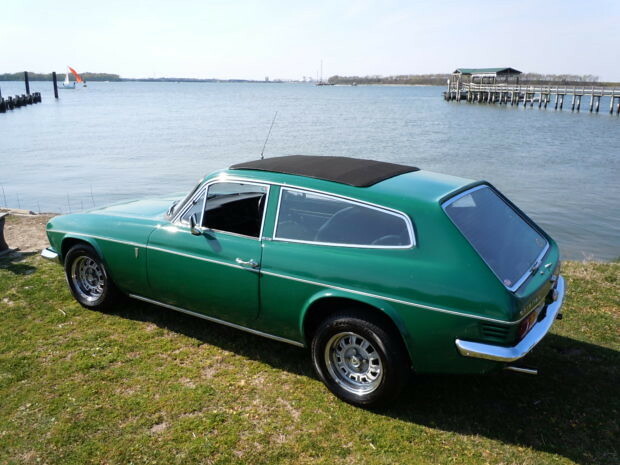 This example is finished in green with chrome split front and single-piece rear bumpers. Blisters are pictured in the paintwork, and the seller notes cracking in the gel coat. An air dam with radiator cooling passages molded to the front valance is believed by the seller to be a period addition by a prior owner. A sliding cloth sunroof extends from the rear passenger area to just aft of the windshield, and has been fitted with a new wooden frame sourced from a specialist in the UK. Adjustable front shocks were fitted by a previous owner, and the seller added adjustable rear dampers in 2018 as well as refinishing the wheels and installing new hatch struts. 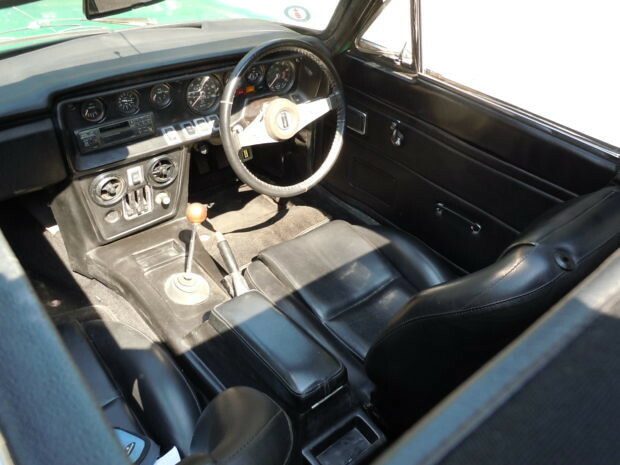 The cabin is trimmed in black vinyl, with a set of period sport seats fitted for the front occupants. An aftermarket cassette radio is mounted above the climate control panel. The seller notes that the heater matrix appears to be blocked off, and the rear wiper and windshield washers do not work. Approximately 30k miles are shown on the 5-digit odometer, which has rolled over per the seller. 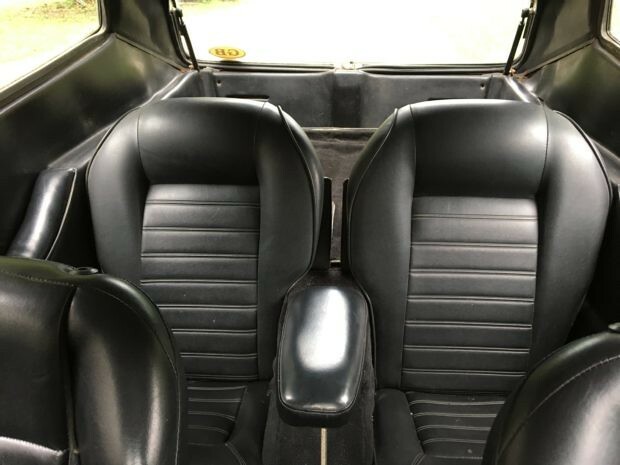 Split rear seats are fitted for the rear seat passengers and extend the cargo area around the center arm rest to the front seats when folded forward. The 3.0-liter Essex V6 sends power to the rear wheels via a 4-speed manual transmission with an electrically-actuated overdrive which can be used on third and fourth gears. 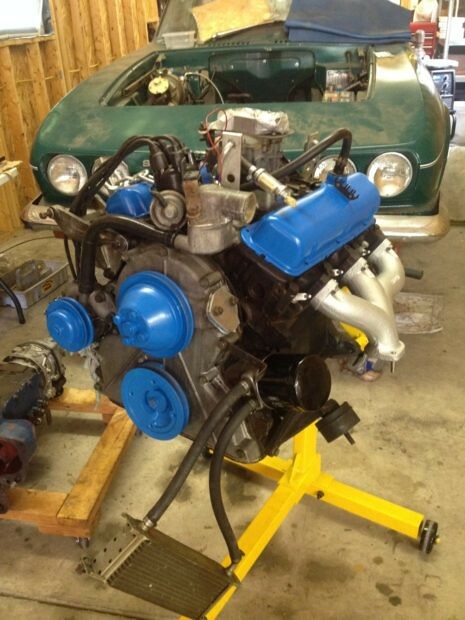 Modifications include an electric fuel pump and K&N air filter. A 2016 service included a new clutch, engine and transmission mounts, ignition components, and more. 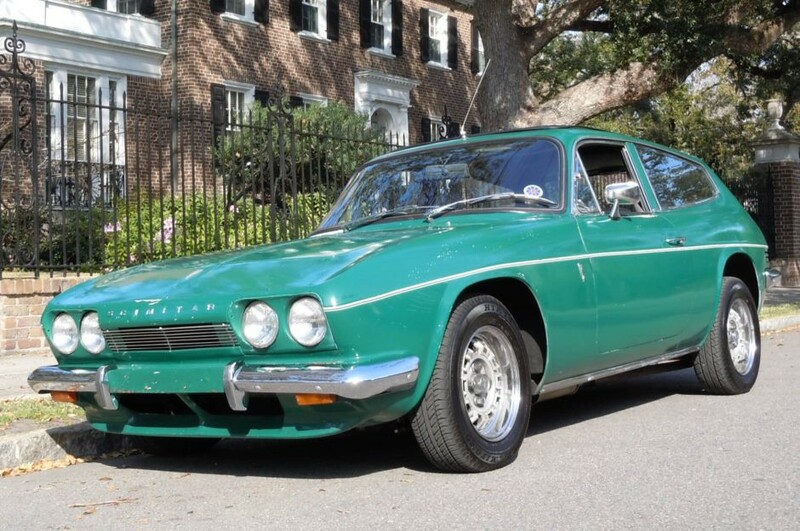 The seller describes between 175-180 psi of compression on all six cylinders. The seller refinished many of the mechanical components, with photos of the process provided in the gallery below along with a detailed breakdown of the work performed. The brake calipers were rebuilt with stainless steel pistons, and replacement suspension components are detailed in the gallery below. Much of the exhaust is said to be stainless steel, and the car is equipped only with rear mufflers. A driving video is provided above. The sale includes a workshop manual, a copy of the owner’s manual, and a parts catalog on CD. 1960 A spec 250, Griff and an Esprit out of shot. Thanks Fred. It's on the register together with its original UK registration. That is a dream garage !!! More details on this rather smart car. Gordon and Jeni bought it at auction on-line and flew up to Noo Jersey to collect it. They then drove it home 732 miles to Charleston SC, very brave. 1178 km, that's about what I covered in my equally unknown 928S when I flew to Brussels to collect it. Any news of a buyer?